You can now access the Reformation Study Bible online at Bible Gateway. 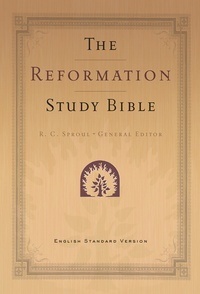 The Reformation Study Bible has thousands of study notes from many well known Bible scholars (J.I. Packer, Wayne Grudem, and more). The notes can be read alongside any bible translation. You can find our how to do this more either here or here. you say that u offer free books. do u send out them through the mail? i would like to start to recieve your books. i had to move,, mother passed away, forced out of apartment to leave behind my things. please, will u help me out?